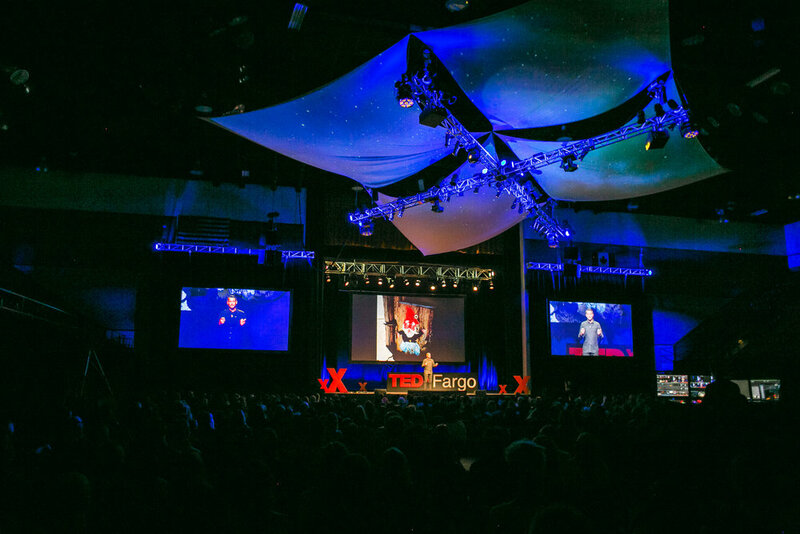 Below is the transcript of my TEDx talk about making our cities more creative, inspiring, and full of wonder. You can watch the video in full on the TEDx Talks YouTube page. Our cities have grown faster in the last 50 years than in the last 10,000. Fifty-four percent of all humans now live in urban areas. By mid-century that’s going to be closer to 70 percent. You look at cities like Shanghai, or New York City, they have turned into concrete jungles in a race to keep up with the infrastructure to support their current populations, but when people need a space of refuge where do they go? They leave the city. They move to the suburbs. I live in San Francisco and this is where I go: Golden Gate Park is the largest urban park in the U.S. This [pictured in slide] is a tea garden that’s one of hundreds of installations in the park, including an art museum, a science museum, and myriad other types of spaces that provide refuge the citizens of San Francisco and beyond. Because there’s a HUGE problem in cities today. There’s too much gray space. I’m looking at the chain link fences, gray walls, sidewalks, streets, parking lots, all spaces that were built very quickly but not thoughtfully or creatively. At the same time one in 10 stores is sitting vacant across the U.S. This has been true for the last two years and those spaces are street-level spaces where we’re walking by every day and we see something pretty uninspiring. The photo you see here is a city in China called Dayawan. The infrastructure there can support almost a million people, but almost nobody lives there. So I wonder… what if we reinvented our forgotten spaces? What would that look like? Urban prototyping in San Francisco is reinventing sidewalk space. We now use sidewalks to interact with each other. There’s an urban prototyping festival where hundreds of artists build installations on sidewalks across the city. Shown here [pictured] is a more permanent installation that allows this gentleman to be able to communicate almost directly one-to-one with someone in a similar installation across the sidewalk [due to the auditory projections of the domes]. I’ve been walking by here and I’ve seen strangers interacting. I’ve seen businesswomen talk to homeless people. These are interactions that would not normally have happened. Most people would have had their headphones on and their eyes to the ground another forgotten space alleys here in Fargo. Alley Fair. Alleys are no longer a place for only garbage trucks and muggers. They’re actually a space for creativity and murals and for people to interact. I wonder… what if we created our cities to be a platform for collision? Medellin in Colombia used to be the bloodiest city on Earth. Pablo Escobar, Colombian cartels. In the last ten years, the city started to rethink how they could create public space in a way that has significantly reduced the murder rate. Twenty years ago it was double the next city on the list with murders per capita, but with public spaces like the one you see behind me, as well as increased public transportation to get into city centers they reduced murder rates in the worst areas by 80 percent. I wonder… if we created more moments in action in our cities. The SELFIE wall. This is Venice in LA. It’s all about little moments like these. This could have been a construction wall that was plain plywood or tagged up in graffiti in a very ugly manner, but this artist (The Most Famous Artist) decided to take it upon himself and put the word ‘SELFIE’ stenciled backwards — obviously, so that it show up correctly in photos — and now this this wall has taken a life on its own. People are sharing it online and its cemented itself in history little bit more as well as given countless moments of joy to people that are walking by. Someone who had fun out there [pictured: photo of me taking a selfie]. And just south of here in the Twin Cities we have Northern Spark, an amazing festival that goes from dusk to dawn, not just rethinking space, but rethinking time. People should be comfortable at any time of the day or night in their city. This art installation [pictured] was put on by Jim Campbell a New York artist that recorded the silhouettes of people walking through the subway. You could see the images of people moving back and forth, but also walk inside and experience it. So what if we think really really big about what are cities can do? Every time I’m walking through the city at night in San Francisco I’m very fortunate over the past year to be able to see the Bay Lights — over 25,000 LEDs over nearly two miles of the Bay Bridge that goes from San Francisco to Oakland. It’s probably the largest art installation I’ve ever seen and just like Jim Campbell’s piece in the Twin Cities you see constant motion with the lights in hundreds of different patterns. Truly a moment of wonder for the tourists and the citizens of this city where normally it could just be a dark grey bridge. I think I like it a little bit more than the Golden Gate Bridge. And Castle Hill Graffiti Park in Austin is another place I’ve experienced recently. It has a perfect view of the skyline of Austin. Definitely a multi-million dollar project waiting to happen. They could build condos, no problem. But the owners of the space decide to leave it open. There are multiple tiers of walls where graffiti artists, new artists, young and old gather. I’ve seen a father teaching his daughter and I’ve seen huge scale murals take place here. It’s something that we’re now giving the right to our artists to actually have a voice in the urban dialogue. Actually practice and get better at what you’re doing, and then appreciate it. It becomes a gathering place for creative minds to come together. And then the biggest think-big idea of them all. Burning Man. Black Rock City, Nevada. Last year, 70,000 people lived in this pop-up city for a week. It was a city that you can create anything. I’ve seen some of the most enormous interactive art pieces ever. I’ve seen people come together and remove judgment and norms, and not just think outside the box, but completely recreate what our society could be. No longer are we held to the streets and the walls and the regulations that we see today. We created those, and we should continue to create what we actually want to see. Where we’ll be happier. So I want to encourage everyone here to be bold. These cities are ours, and we should have our voice in them. So next time you see a vacant space like this [pictured]. Throw a seed bomb in it. Plant some wildflowers. Or behind the Fargo Theatre if you see a wall like this [pictured]. Make a mural. In 24 hours myself and Joe Burgum found a place that we could paint a mural, got the OK by the space owner, and did it. It’s not hard to do, and now it’s something much more interesting look than a plain white door. HOTTEA is a Minneapolis-based artist who now does non-destructive street art with yarn across the world. He didn’t start out like this. He started just by putting his name in very block text on wooden phone poles in Minneapolis. But he took that to the next level and the next level after that where he was covering forgotten tennis courts and sky ways across the highway. It just shows that even the littlest things in the most simple mediums we can do creative things and make our cities little more interesting to look at. Even the small things matter. This gnome is no bigger than my hand, but was one of the first pieces of art I saw in San Francisco when I visited years ago. But someone left it there to be discovered. They wanted me to come across it. They wanted me to be inspired and to continue to look in the cracks and crevices in cities that are normally forgotten. 1/ Pay attention. It is very easy to just commute, but if you open your eyes and you look in places that other people aren’t looking you’ll start to see these things. They are all around Fargo. They are all around every city in the world. 2/ Start small. Like the gnome it’s very easy to do something and do your part. Find what you’re passion about. What do you care about? What you want to see in your city? Help make that happen. 3/ And don’t stop. Like I said, cities are growing faster than they ever have before, so more than ever the community members in those cities need to have a voice. So after you leave today, keep this in mind. Create the spaces that matter. The space can be your office. It could be your city, or the street that you walk to work on, but it’s our time to retake them and create moments of wonder. This post was originally published by Tristan Pollock on LinkedIn.